Farm Weigh Systems is the Master Dealer for North & South America for the Veit Bird Weighing Systems. 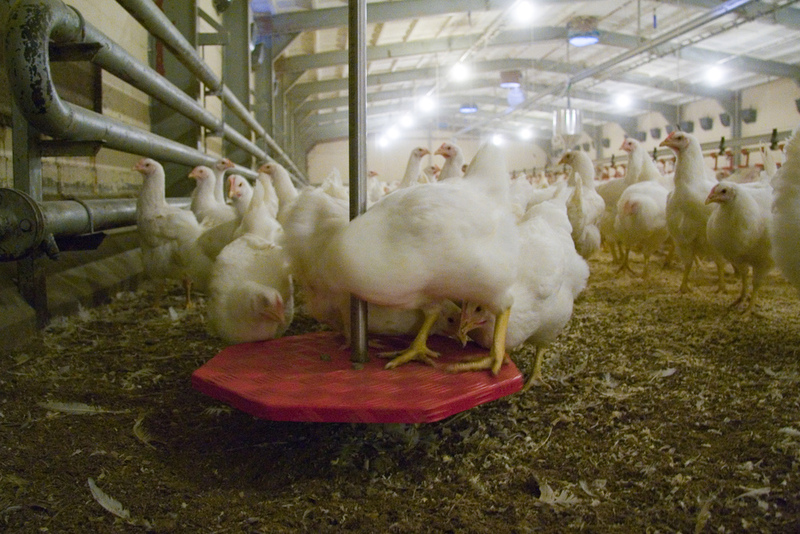 We have been providing scale systems to the poultry industry for over 30 years. The founder holds a Poultry Science degree and spent 12 years managing technical service at a major primary breeder company before launching MDR Products (Farm Weigh Systems Parent Company) in 1983. Since that time, our market has grown to include all of the major poultry producers in North America, as well as worldwide. Our partners Veit Electronics, Brecknell, and Ohaus Corporation bring innovative, industry-specific solutions to all phases of live production. The VEIT scale system is our flagship product line and is specifically designed to provide accurate live weight, data in a robust system. The BAT1 Manual Weigher is the most versatile and complete bird weigher, suitable for all chickens, turkeys and duck weighing tasks. Veit’s BAT2 Automatic Bird Weighers offer complete daily weights and is easily PC compatible. Farm Weigh Systems can supply all your weighing needs via Salter, Ohaus or dozens of other brands. 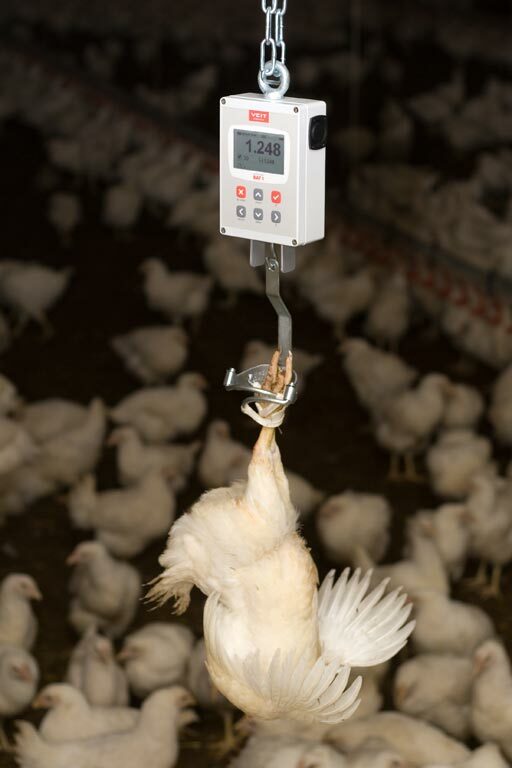 Providing excellent products while focussing on customer support has elevated Farm Weigh Systems to be the benchmark company for poultry weighing systems. We welcome your inquires and look forward to assisting you! Farm Weigh Systems is the Master Dealer for North & South America for the Veit Bird Weighing Systems. We have been providing scale systems to the poultry industry for over 30 years. The founder holds a Poultry Science Degree and spent 12 years managing Technical Service at a major primary breeder company before launching MDR PRODUCTS (the Parent Company to Farm Weigh Systems) in 1983. Since that time, our market has grown to include all of the major poultry Producers in North America as well as Worldwide. Our partners Veit Electronics, Brecknell, and Ohaus Corporation bring innovative, industry-specific solutions to all phases of live production. The VEIT scale system is our flagship product line, furthermore is specifically designed to provide accurate LIVE weight, DATA in a robust system. The BAT 1 Manual Weigher is the most versatile and complete bird weigher, suitable for all chickens, turkeys and duck weighing tasks. Veit’s BAT 2 Automatic Bird Weighers offer complete daily weights and is easily PC compatible. Farm Weigh Systems can supply all your weighing needs via Salter, Ohaus or dozens of other brands. Providing excellent products while focusing on Customer Support has elevated Farm Weigh Systems to be the benchmark company for poultry weighing systems! We welcome your inquires and look forward to working with you! BAT1 Manual Bird Weigher provides all the data for complete weight data and analysis… perfect for any poultry weighing application. Economical, reliable and easy to use! Hanging or platform style available! Bat2 Full provides all the data for complete weight data and analysis… perfect for breeders and any weighing application. Economical, reliable and easy to use!